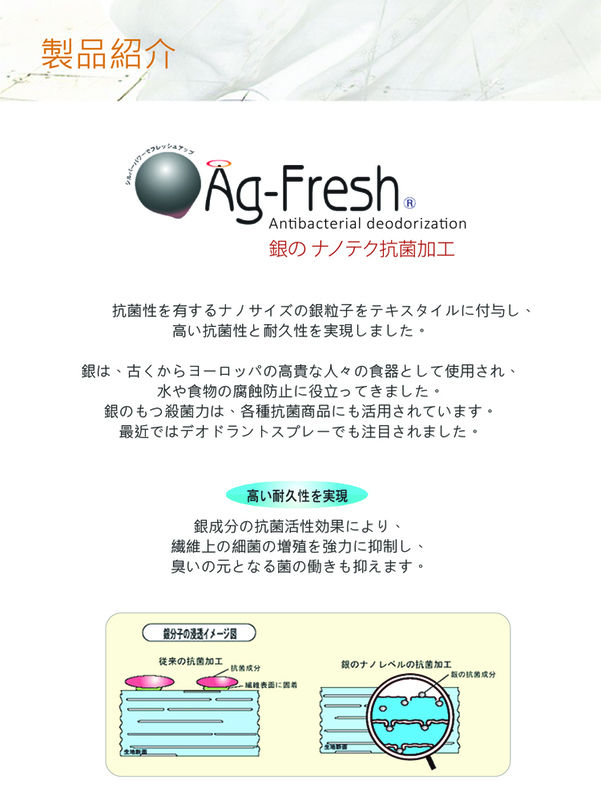 “Ag-Fresh" finishing fabric compound with silver nano-sized particles, empower an effective antibacterial activity and create an antimicrobial properties on the fabric surface. From inhibiting the growth of the bacteria, it also plays a role of inhibiting the odour smell from the bacteria of the human sweat, i.e. Ag -Fresh fabric can achieve a high antibacterial and odourless state.